Preserve and lengthen the lifespan of your garage door with the occasional cleaning. 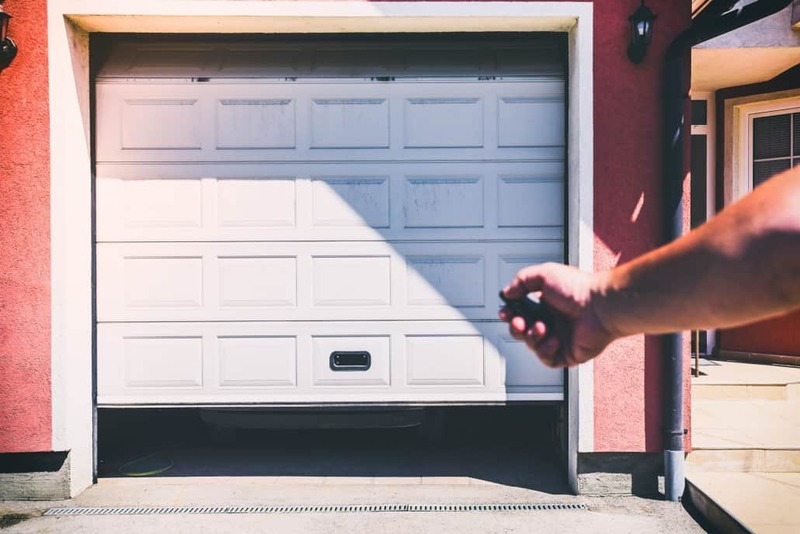 Other than making your garage door look good and boosting your curb appeal, cleaning it will help prevent dirt and oil buildup on the tracks as well as help prevent mechanical malfunctions. Here are three easy steps for cleaning your garage door. Step One: Brush Away Excess Debris Use a brush to remove spider webs, dirt, or other debris from the door, tracks, and if applicable, windows. This will help make the next step of the cleaning process easier because you will have less dirt getting into the solution. Step Two: Clean Door With Solution Mix detergent or soap with water to make the cleaning solution. Using a brush or soft rag, wash the garage door with the solution. Gently rinse the door with clean water after applying the cleaning solution. We recommend avoiding abrasive cleaners or acid-based products as this could damage the paint or cause further damage to the door. Step Three: Wait For It To Dry After cleaning the whole garage door, wait for it to completely dry before opening or using the garage. If you open the door while it’s still wet, water will get all over your garage floor and that just means more cleaning. While you’re waiting for your garage door to dry, we have some suggestions for garage door maintenance in our previous blog! We hope we’ve been helpful in teaching you how to clean your garage door. If you have any concerns about your garage door, as you are cleaning or doing maintenance, don’t hesitate to give us a call at (714)726-2225. All Right Garage Doors is proudly serving homes through Laguna Niguel and Orange County for all aspects of garage door services.